When is a New Drug Not a New Drug? How to monitor your practice's wellness in order to make better strategic decisions. What's the point in creating a high-quality inbound marketing campaign if there is no mechanism in place to track and analyze how well the campaign performs? 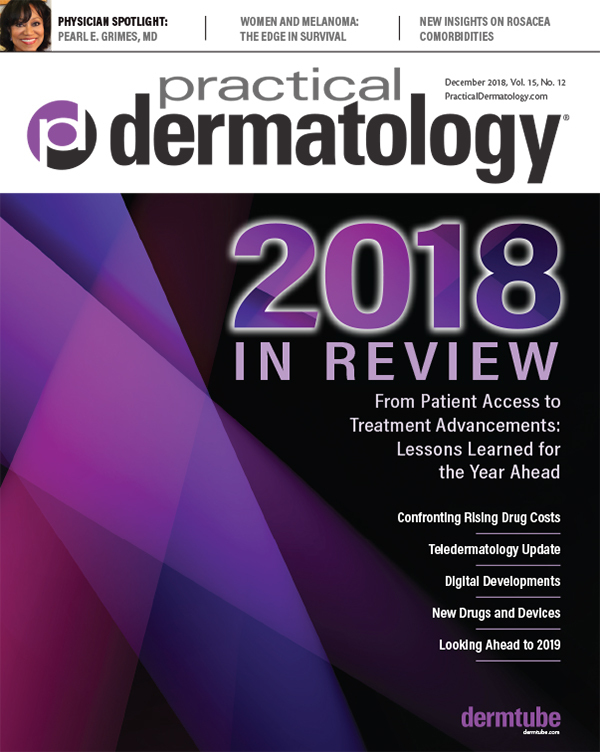 Dermatologists, desperate for relief from the forces that have sent prices skyrocketing, are pushing for reform or exploring other options. Available services can enhance the safety of visually impaired individuals. 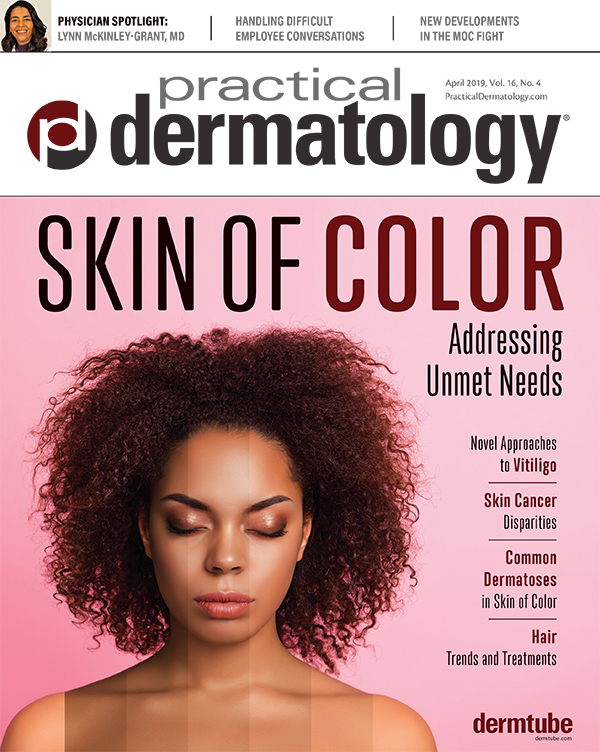 A dermatologist shares her experience offering e-consults and describes how teledermatology can expand access to care. Data may be a way for physicians to enhance their practices, make life easier, and provide better care. Revised MACRA requirements go into effect in January. The right technology partner can ease the transition. Although SKs are benign and often increase with age, patients can still be bothered by them. There's a new treatment option. A new technology offers a fresh approach to treatment of submental contouring. 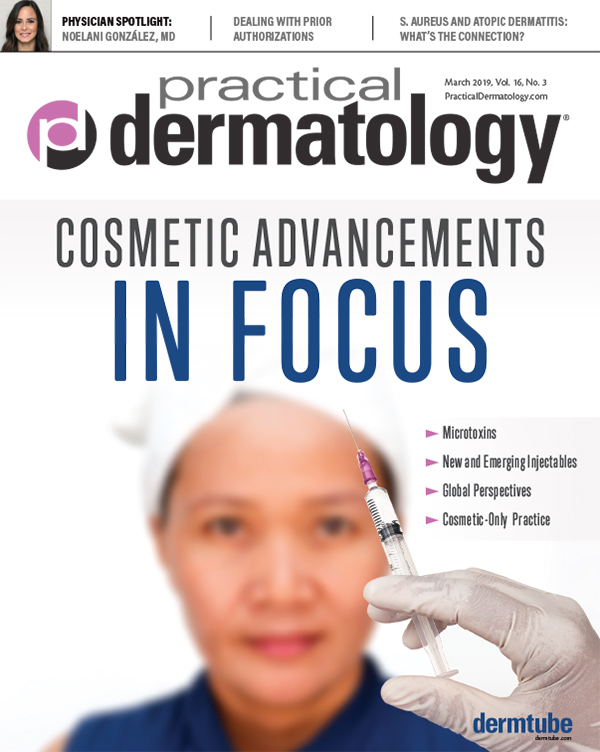 With recent FDA-clearance, microparticles are available to support Nd:YAG based treatment of inflammatory acne. Now in its third year, the DPAF continues its focus on philanthropy, education, and research. ICYMI: Updates from behind the scenes at the 10th Annual Cosmetic Surgery Forum. 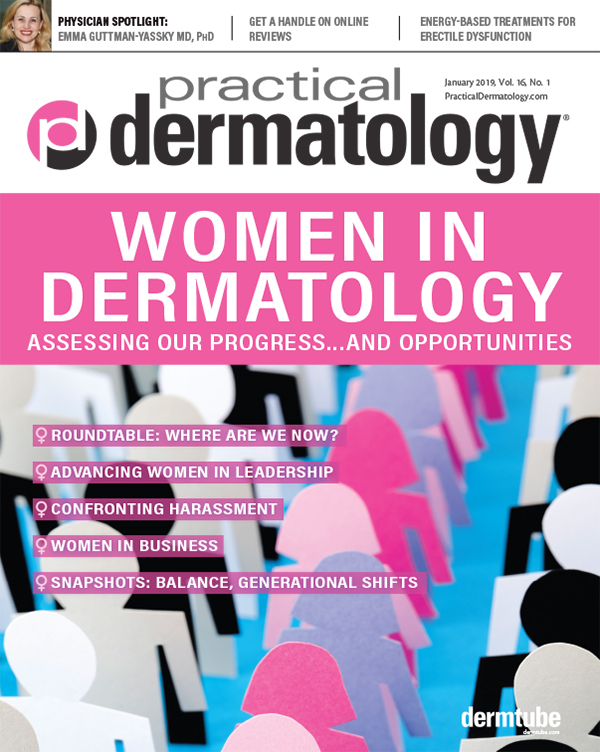 Global data show that men have higher rates of mortality and more rapid melanoma progression. We still don't know why. 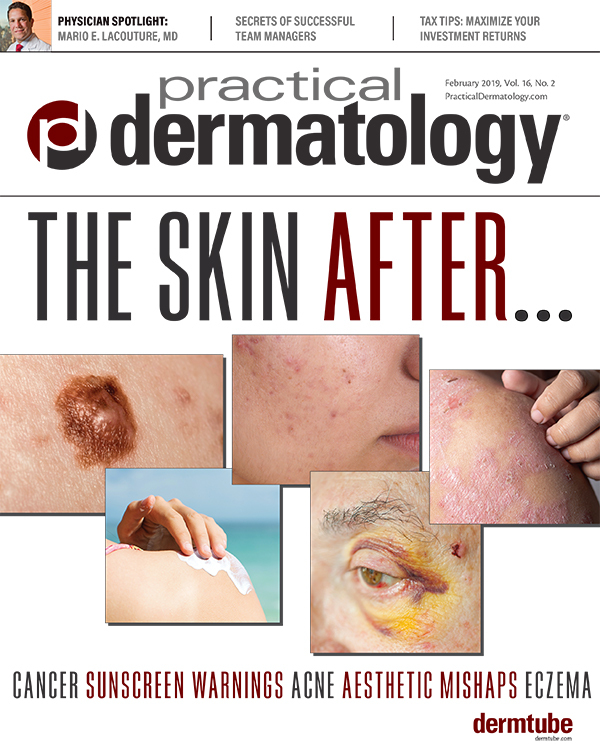 Understanding rosacea risk factors can allow for earlier, more effective treatment. How to identify and avoid common mistakes.